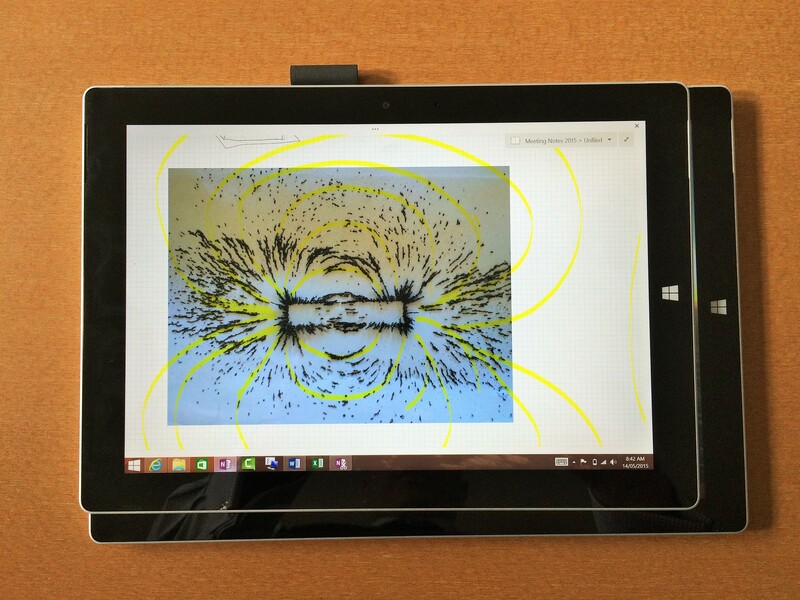 Back in October, I reviewed my brand new Surface Pro 3. I’ve used it every day ever since – and love it! It’s a great piece of hardware that is perfect for teacher/student/learning, in an awesome stylus enabled form factor. 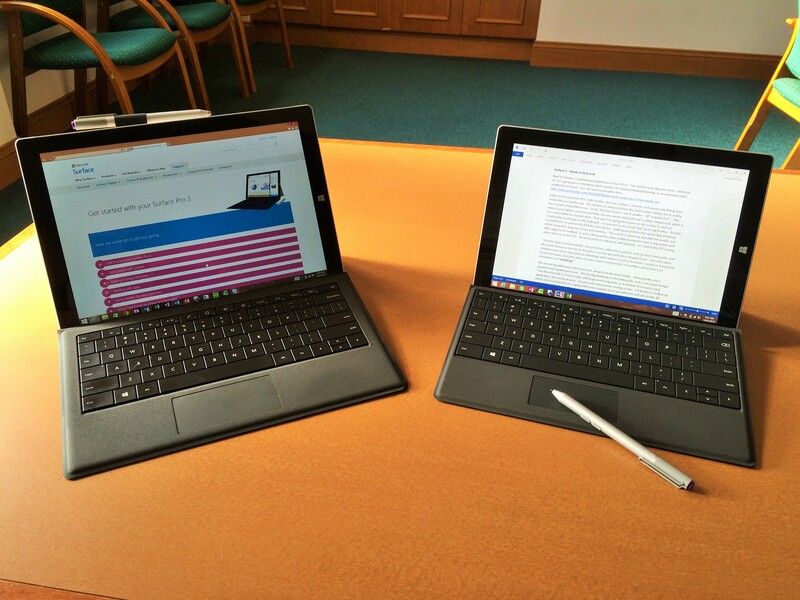 You can read my thoughts here: https://educationstylus.com/2014/10/30/microsoft-surface-pro-3-two-weeks-on/ Earlier in the week the Surface Pro 3’s (left) little brother, the new Surface 3 (right), arrived, so it seems only fitting that I review this in a similar way. The model I received is the 64G SSD storage with 2G of RAM (there is also a 128G/4G version available). 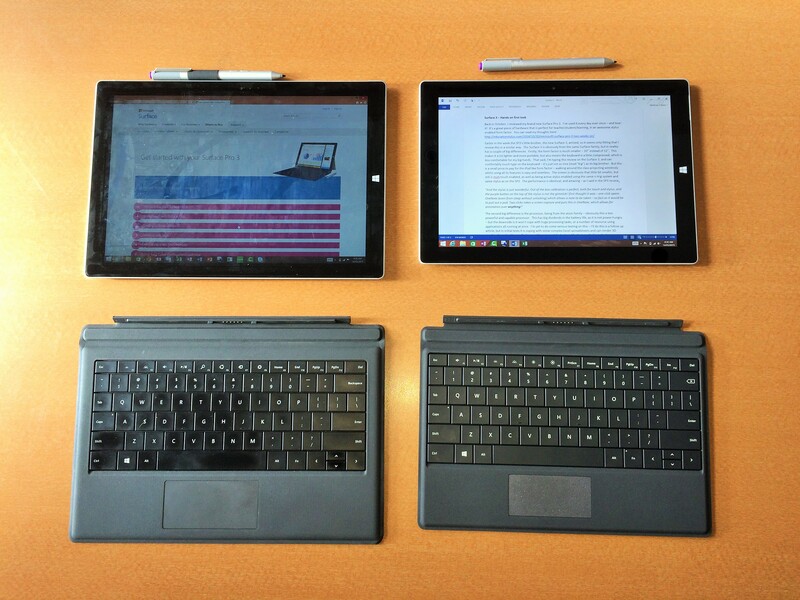 The Surface 3 is obviously from the same Surface family, but in reality has a couple of big differences. The second big difference is the processor, being from the atom family – obviously this a less powerful and capable processor (1.6GHz with 2.0GHz burst speed). This has big dividends in the battery life, as it is not power hungry – but the downside is it won’t cope with huge processing tasks, or a number of resource using applications all running at once. I’m yet to do some serious testing on this (I’ll do this is a follow up article) but in initial tests it is coping with some complex Excel spreadsheets and can render 3D graphics from the Human Body app. I have tested the battery life that results from the less power hungry processor and it is amazing – I’m easily getting 8-9 hours! Like its big brother, the Surface 3 has a rear facing and front facing camera. Unlike its big brother, the rear facing camera on the Surface 3 is really great, being an autofocus lens, taking photos, scanning documents and recording detailed video is now an easy possibility – I’m really impressed by this, and this certainly is a massive plus for a device aimed at students, as digitising content to then annotate/mark up is really easy and efficient. It even does well close up (macro); the possibilities of which excite this science teacher. Below are two photos taking with the Surface 3 – my iPhone, and the keyboard of my SP3 – no cropping or editing on either! I was also amazed at the ease of the setup process. Once I unboxed it and started it up, the first job was to connect to the wireless and then sign in with my Microsoft account. Once signed in, it recognised I had my other Surface Pro 3, and asked if I wanted the setting transferred – I said yes, and about 15 minutes later it was ready go – with all my bookmarks, network drives, wireless networks (home and work), OneDrive accounts and even apps transferred and ready to use. Talk about easy! I’ve also noticed that because the two devices are linked, if I do a web search on one, the search terms transfer to the other in the recent searched terms, and new bookmarks also transfer across – it is a seamless working experience. This also excites me from a student perspective, as I now know that if their device needs to be replaced, they will be up and running, “as they were” within 30 mins of getting a the new device – of course assuming that they are using a Microsoft account and OneDrive. On the downside (there always is one!) I have three minor issues. Issue one is the charge connector has changed again, to something I haven’t seen before, but it clips in. I really like the magnetic attached connector, especially for students as it means the device can’t be dragged off a table if someone walks through the lead. I would have also thought that some constancy would make sense – but I am sure there is a reason somewhere for the change. On the plus side, the lead is USB on the “power plug” end, which means very universal charging opportunities in this day and age. 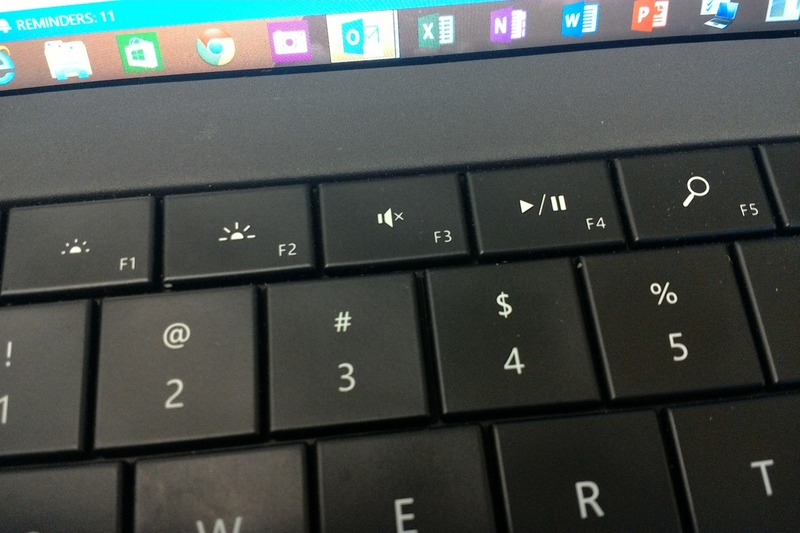 Speaking again of consistency, the location of the volume button control and headphone connector are different between the Surface Pro 3 and the new Surface 3 – no big issue in reality, but again I would expect consistency. Finally the kick stand – I get the reason for the three positions, especially with students, but I can’t believe it doesn’t fully rotate to make the awesome angled tablet experience of the SP3 on a desk. 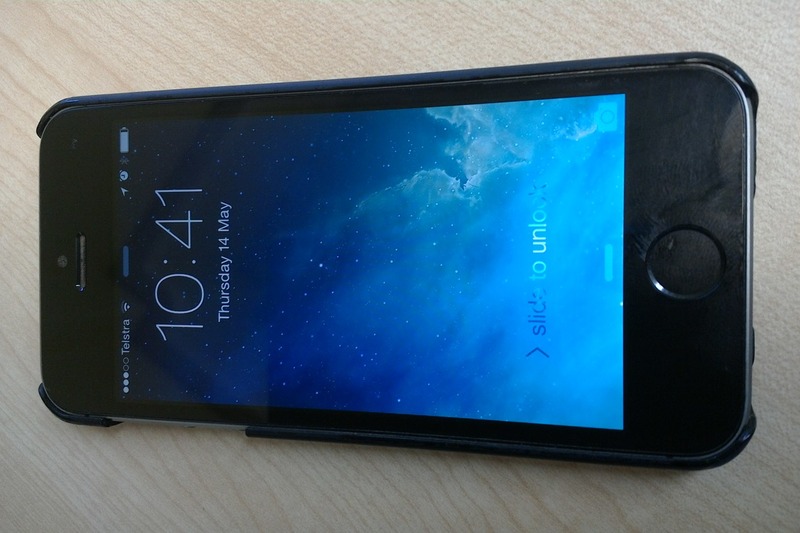 That all said, this device has a big tick from me – especially for the target education market. The form factor is amazing for mobility, the stylus and touch response is flawless, the screen is gorgeous, its battery life amazing and it has a camera that can really do the job. Whilst my SP3 will still be my main machine, I think the Surface 3 will be my classroom teaching machine from now on, given its wonderful roam around the class form factor. It certainly is a machine I will be recommended for students, and I believe I have also found the perfect machine for my Dad, who is a builder wanting to go digital with all his diary, email, project management and plan annotation. Now I have a big personal decision to make – I need to decide whether to install Windows 10 Beta and Office 2016 Preview on my Surface Pro 3….. I think it might just be time.